Hey! I have things to say! 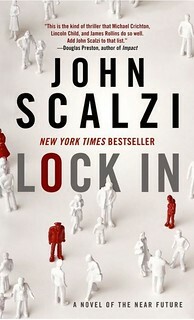 * First, today is the release day for the Lock In paperback (and associated eBook), so if you’ve been waiting for the novel to be released in this cheaper, more compact form, this is the day and you should get to it immediately and avoid the rush. You hate the rush! I know that about you. It also makes a lovely gift. Please buy it, is what I’m saying. Mortgage, etc. You know. * Second, a reminder that on this day next week the hardcover of The End of All Things is released and I begin my book tour, starting in Memphis, Tennessee, thence to Raleigh, Athens, Lexington and many other cities in these fine United States of America (the link above lists them all). As previously promised, I will be reading new and exclusive material on the tour, which you will not be able to hear if you do not come to the tour stops, plus other bits. It will be fun and you will have a good time. Please come and bring along every single other person you have ever met in your life. * Speaking of The End of All Things, here’s a fine review of it in the Barnes & Noble Sci-Fi and Fantasy blog. 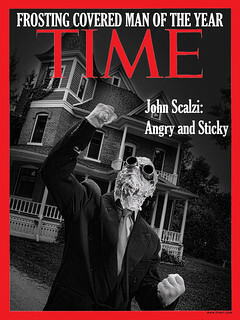 “John Scalzi delivers a rollicking good time,” it declares. And it’s true! I think I am well known for delivering the rollick. And yes, “rollick” is an actual word. You can look it up. * Still on the subject of The End of All Things, a note regarding the electronic release of the extra, alternate chapter included in the print edition of the book (and I believe the compiled electronic edition of the novel): It’ll be released electronically — and for free — a couple of weeks after the release of the hardcover. So if you purchased the episodes, you’ll still get the extra stuff. Free! Promise. * A quick plug for a book I am associated with: The fabulous and multiply award-winning and nominated Paul Cornell’s short story collection A Better Way to Die came out yesterday here in the US and the UK (Amazon links there), and is well worth your time. I’m associated with it because I wrote the introduction. 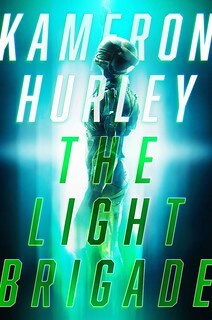 If you like good science fiction and fantasy — and I suspect you might! — then this is a short story collection you want to know about. And with that I’m off, to sign a big ol’ stack of books for people who pre-ordered The End of All Things through Subterranean Press. See you all tomorrow. 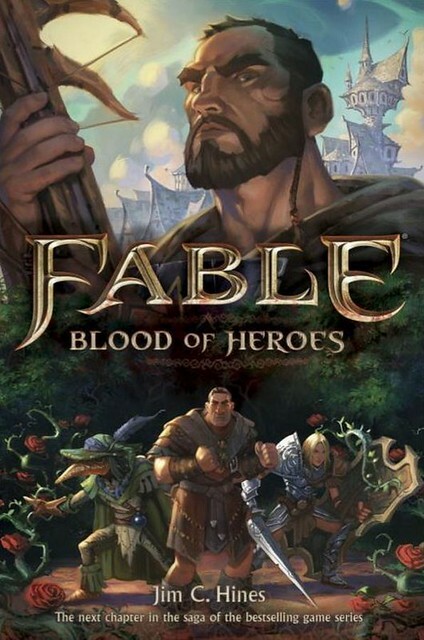 I could do a long introduction to Jim C. Hines‘ Big Idea piece on his novel Fable: Blood of Heroes, based on the popular series of games. Instead I will simply say, with some wonder: It has armored chickens in it. I’ll let Jim handle the rest. Albion is a land with a long history, developed over the course of the Fable trilogy of games. The forthcoming Fable Legends is set several hundred years before the first game, during a time of great change. As it turns out, human beings—and nonhuman beings, for that matter—don’t always handle change well. When I sat down to write Blood of Heroes, the companion novel for Fable Legends, my job was to tell an original story introducing new Heroes in a much older Albion, and to do so in a way that experienced Fable players, players of Fable Legends, and readers utterly new to the franchise could all appreciate and enjoy. There’s plenty of action, battles with ghosts and redcaps and armored chickens, and a bit of political absurdity, all part of a larger scheme by a villain with major dental issues, but underlying everything is the tension of societal change. Into this world come men and women with mythical powers. Heroes, or so they claim. But what happens when ordinary, everyday townsfolk encounter such people for the first time? How do those in power respond? And why is it that every time a Hero comes along, chaos and property damage soon follow? As an old evil awakens and begins to spread its influence, a would-be king sees these Heroes as an opportunity to make a name for himself, and he’ll be damned if he lets a minor inconvenience like his untimely death get in the way of his grand vision. A nearby mayor sees only a threat to his power. Will the people really accept him as their leader when there are others with so much more strength and power and magic? The same conflicts play out within the protagonists themselves. They struggle to understand their powers and abilities, to figure out who they are and where they belong. Some, like the aforementioned Sterling, believe it’s their destiny to save the land and receive the glory and rewards that are their due. 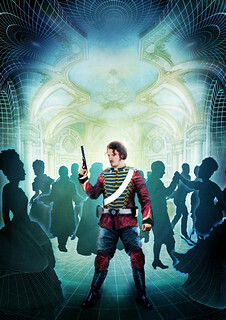 (And if said rewards happen to include a romp with the best-looking man or woman in town—or both!—so much the better.) Others struggle to hold on to their idealism in the face of doubt and cynicism and an unusually large number of things trying to kill them. Then there are those who are just in it for the gold to pay off their bar tab. Blood of Heroes shows a world in flux. Albion has emerged from what’s known as The Pitch Black Ages (like the Dark Ages, only much, much darker), and is moving toward an Age of Heroes. In the long run, this could be a very good thing, at least for those who survive. In the short term, it’s gonna be loud, messy, and ugly, full of backstabbing and nastiness and a disconcerting number of chickens. If I did my job right, it should also be a great deal of fun. Read an excerpt. Visit the author’s website. Read his blog. Follow him on Twitter.